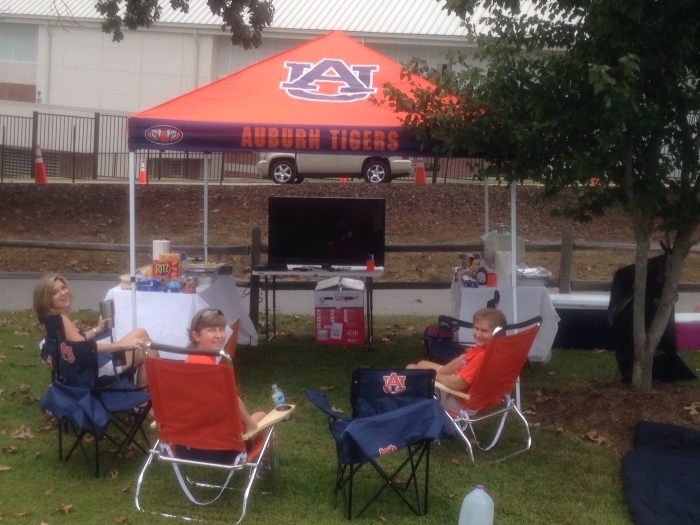 You want to be there when the Crimson Tide starts rolling in, and there's no better way to show your Alabama love than with this 9' x 9' Tailgate Tent from the engineers at LogoChairs. No more tailgating literally off of the tailgate of the truck, no more making do on rainy or super-hot days, and for heaven's sakes, no more figuring out if someone else has room for you under their tent. 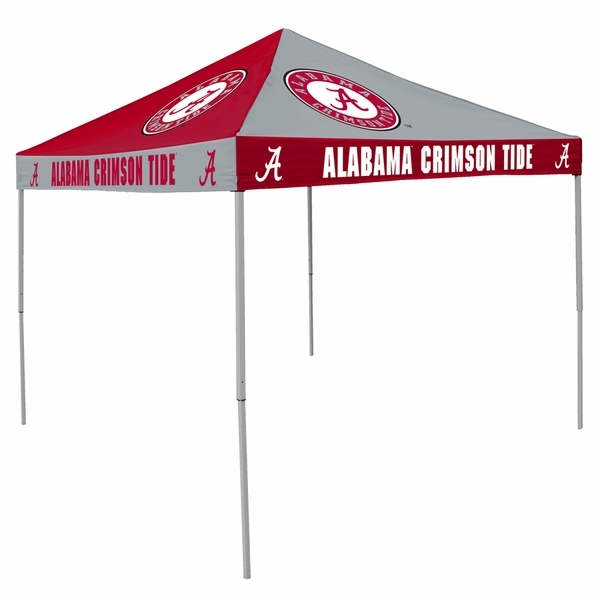 This tent features a powder-coated steel tubing frame with a water-resistant 200 denier polyester canopy, ensuring years of impressing your friends at Crimson Tide tailgate parties! 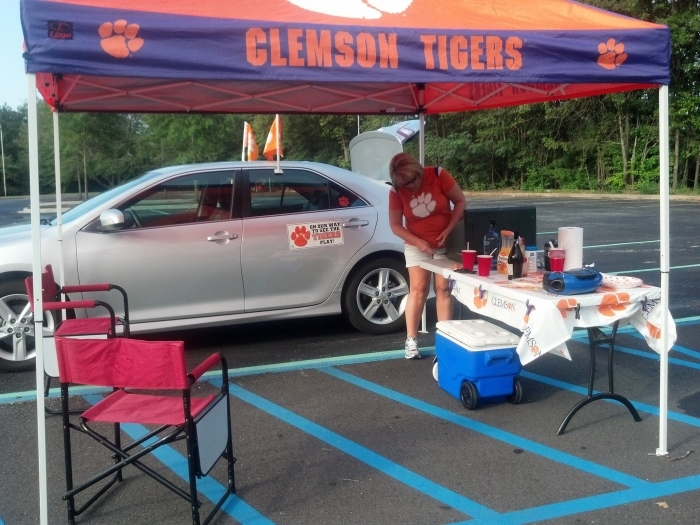 I have question about the 9' x 9' canopy; when it in its storage bag, what size is the bag? I am trying to figure out if this will fit in the truck of my convertible. If you have these dimensions for the canopy. that would be great. Thank you. The closed canopy dimensions are 49L x 8.25W x 8H in. Have a great day. This unit does not come with a carry bag. Is this an EZ-Up tent? Is there any assembly required? It is not made by EZ-Up but it works the same way. It is a one piece frame that unfolds and folds back up. Can this tent be used on the beach? Yes, but you will need to take care to make sure you weigh it down with something, such as our weight bags. Do these tents have ropes to tie them down? Yes, they do have ropes and stakes to tie them down. 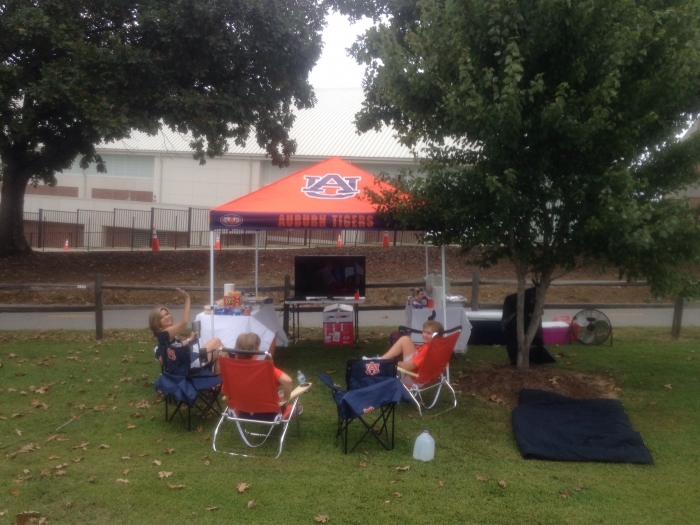 Do you sell the leg weights for the canopy tent?